Encouraging and developing our people to their full potential is important to us at SQS, and fundamental to ensuring we retain our good people, and hold high levels of employee satisfaction. Alex started in a temporary role at SQS working as a support/office administrator. 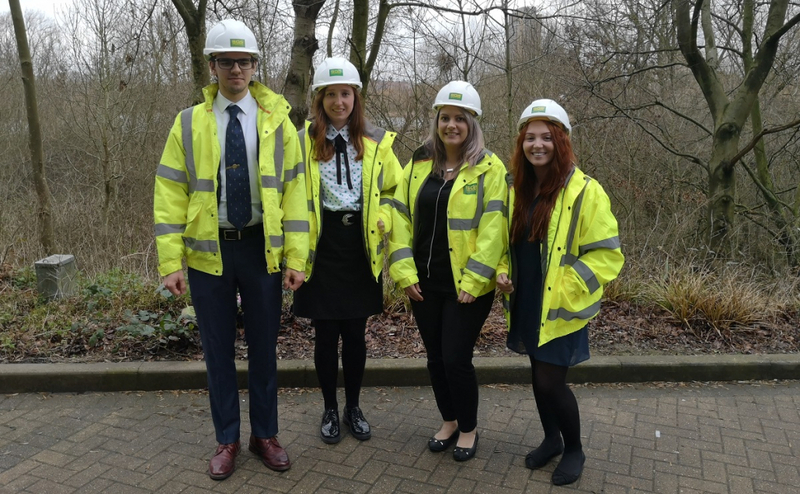 Alex has progressed throughout her time with SQS and is now a key member of the SQS family as “Senior Quantity Surveyor” managing her own team. “I have been with the company for roughly 8 years and joined shortly after completing a business management course at university. I was desperate to get some office experience so took a temporary position in the support department. As the business grew the support department evolved into the customer care team where before I knew it, I was offered a permanent position and became part of the SQS family. A couple of years down the line, I wanted to get back to what I was best with (numbers) and initially thought I was suited to a payroll position. I spoke to Katrina (Company director) at the time, who suggested sitting in with several departments that dealt with number. I did not expect to enjoy the Quantity Surveying role but was so taken away by it that I stuck with it as a trainee/Junior QS. I was approached about progressing my skill set within the Quantity Surveying role and my manager had offered me further training, which was in the form of a university course in Quantity Surveying. I completed the initial course which was about 2 years, and then went on to complete a masters for it. At every stage those working with me while I was on the course were fully supportive in offering me their guidance and knowledge along my journey and here I am today as a Senior Quantity Surveyor managing a team. If you are interested in joining the SQS team please visit our recruitment page and keep a regular eye on our vacancies! https://sqsltd.co.uk/wp-content/uploads/2019/03/HEIGHT-ORDER-edit.jpg 741 1200 Ashley Barracliffe https://sqsltd.co.uk/wp-content/uploads/2017/07/sqs_logo_340x156.png Ashley Barracliffe2019-03-06 16:24:152019-03-14 13:44:20"To their full potential"